Traveling nurses come in all ages, genders, and level of experience. Whether you are just out of school in a “try before you buy” mindset or someone with years of experience in the last phase of your nursing career, being a travel nurse is a great career path. What are the responsibilities of traveling nurses you ask? How do travel nurse jobs compare to permanent nurse jobs description? The fact is, the traveling nurse job description is very similar to any rn job descriptions. Traveling nurses are just like your traditional, permanent nurse. They are healthcare professionals who assist their patients. However, traveling nurses are employed in this occupation for 13-week assignments traveling from location to location. Some traveling between hospitals, clinics and schools. A traveling nurses job description will always include caring for patients in any setting. Traveling nurses have a wide array of duties to perform, such as administering medication and preparing nutritionally-specific meals. According to the U.S. Bureau of Labor Statistics (BLS), the education requirements vary but most employers prefer to hire candidates who are licensed practical (LPN) or registered nurses (RN). To become an RN, individuals will have to earn a diploma, associate's or bachelor's degree in nursing. Looking past the traveling nurse job description, there are many advantages. The flexibility of being in one facility then having the ability to pick up and move to another is a big benefit. Assignment Flexibility. One of the biggest benefits in being a travel nurse is the flexibility. Traveling nurses typically work 13-week periods per assignment. After that, they have the flexibility to extend their assignment or travel to some place new. This flexibility allows traveling nurses the freedom to choose where and when they work. Traveling Nurse Salaries. Travel nurses earn competitive wages and are able to provide a comfortable life for themselves. Traveling nurses’ salaries can be higher than full-time permanent nursing jobs. For example, an RN’s travel nursing salary can reach as high as $48 an hour in specialty positions that include overtime. In addition to the competitive traveling nurses’ salaries, the cost of travel and living arrangements are included in the job so you don’t need to worry about paying high prices for rent. Opportunities For Advancement. Traveling nurses have a huge opportunity for advancement. They have the ability to work in a variety of settings and facilities across the country. 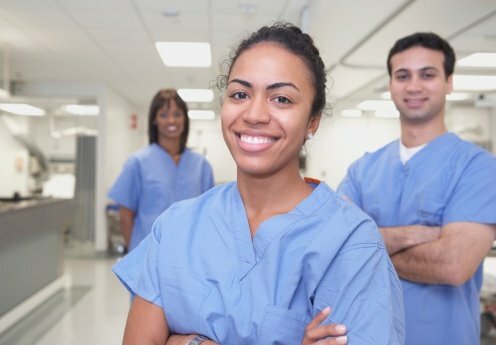 In all cases, the unique résumé of the travel nurse opens new opportunities in clinical, educational or management careers. Avoid Office Politics. Tension between co-workers is common in any industry. That is no different in a high-stress job like nursing. Traveling nurses work short assignments and can more easily avoid the drama. If you do encounter any office politics, don’t let it hinder your work. Remembering the flexibility to move on to another facility, at the end of your assignment, is a big benefit to being a traveler. See The World. If you have an adventurous spirit, enjoy moving around and exploring new locations, being a traveling nurse is perfect for you. As demand continues to rise, facilities will need more nurses and travelers just like you! Nursing is a thriving profession that allows you to help others while learning a lot about yourself. Traveling nurses have the same responsibilities as a permanent nurse but with many more benefits. Learn more about how easy it is to apply and start traveling.